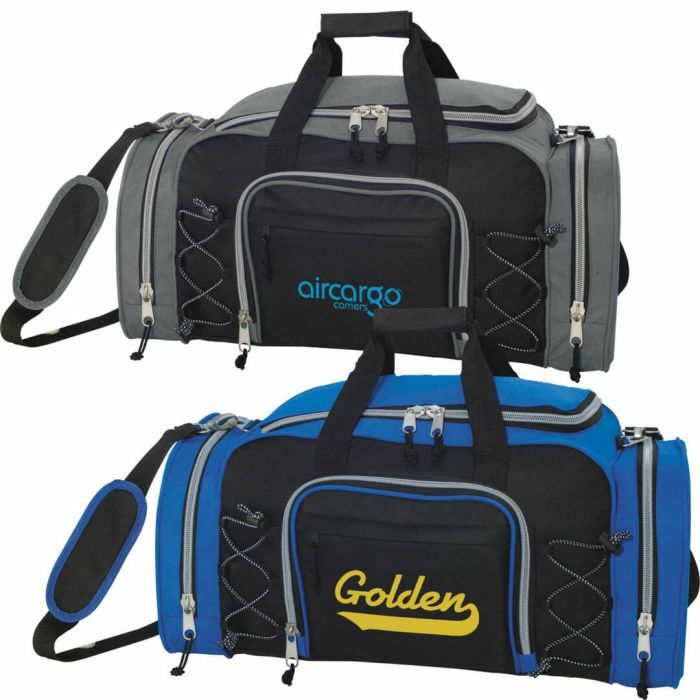 Zippered main compartment with a U-shaped opening and reinforced double 19-1/2" handles. Large zippered front pocket with additional exterior zippered pocket. Two front-adjustable elastic cord pockets. Wide zippered side pockets. Detachable, adjustable, padded shoulder strap. Velcro closure handle wrap.